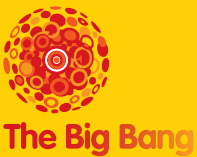 The Big Bang Fairs are interactive events intended to excite and interest young people (primarily aged 7-19) in the range of opportunities in science and engineering. There are hands-on engineering workshops, exhibitors, and careers information, and students have the opportunity to show off the science, technology, engineering and maths projects they’ve been working on and win prize money for themselves and their school. Also at the events are many inspirational scientists and engineers who seek to inspire the engineers and scientists of the future. The main, national, event, is held in March each year, with local events at other times. For example, the Big Bang Fair Eastern was held at the Imperial war Museum at Duxford on Tuesday 08 Jul, 2014 and was attended by around 2000 students.